A Chinese official dismissed the U.S. and Philippines’ call for a freeze on provocative moves in disputed maritime areas. A Chinese official rejected a U.S. and Philippine-backed plan for a “freeze” on provocative actions in the South China Sea, Reuters reports. Yi Xianliang, the deputy director of the Boundary and Ocean Affairs Department in China’s Foreign Ministry, called the proposal unhelpful in comments to reporters on Monday. Yi further argued that the proposed freeze would undermine negotiations on a China-ASEAN code of conduct in the South China Sea. The Philippines has since taken up the call for a voluntary freeze, with officials saying they plan to present such a proposal at the September ASEAN Summit to be held in Myanmar (they are also supposed to raise the issue at the ASEAN Regional Forum this weekend). According to the Philippine Star, Philippine Foreign Affairs Secretary Albert del Rosario called the proposed freeze “constructive” and “positive.” He also said that other countries welcomed the initiative. Yi Xianlang, however, said that negotiations over a “freeze” would undermine the more important task of finalizing a code of conduct in the South China Sea, as the freeze could be seen as replacing a formal CoC. He also spoke out against what he called a “double standard” toward construction and reclamation projects in the South China Sea. “Why is it that when other countries wantonly build airports, nobody says a word? But China has only this year started small and necessary construction, to raise living conditions on the islands — and so many people raise doubts,” Reuters quoted Yi as saying. Yi’s comments make it clear that China intends to carry out its construction activities in the South China Sea. “Nobody can change the government’s position,” Yi said. He further dismissed U.S. support for a proposed freeze as interference, saying the U.S. should let directly involved parties handle the issue. “Trust in us Asian people to use Asian means and wisdom to resolve our own problems,” Yi said. Indeed, U.S. support for the freeze may have killed any chance of China agreeing to the proposal. Writing for the South China Morning Post, Mark Valencia of the Nautilus Institute and Hainan’s National Institute for South China Sea Studies notes that China “rejected the idea [of a freeze] outright” because the proposal came from Washington. 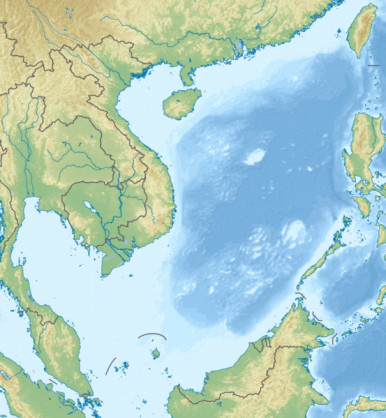 Because the freeze was backed by the Philippines and the U.S., China assumes its provisions (which have yet to be negotiated) would be detrimental to China’s interest in furthering its territorial claims.